These pellets are 36 times faster than rock salt and will melt 46 times their own weight. 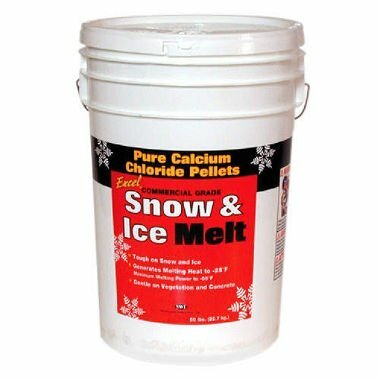 Maximum safety with minimum effort These calcium chloride-based pellets generate exothermic heat to power through thick snow and ice accumulations. They work in temperatures as low as -40˚F below zero and prevents refreezing. Plus, they are non-corrosive to concrete and will not leave behind a residue or kill grass. Directions Spread product before snowfall or to remove snow and ice. May be used in combination with sand, cinders, liquid ice melters and salt.